Protecting the value of the products means protecting your company business and your customers safety. 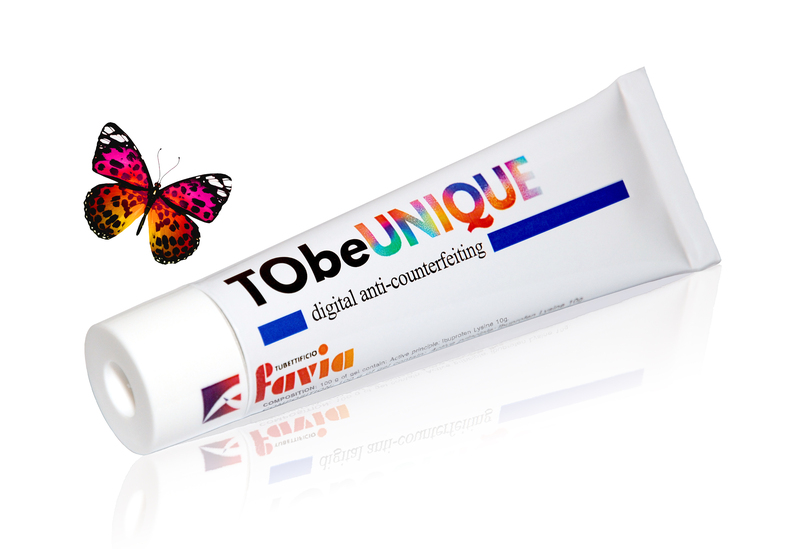 Thanks to the anti-counterfeiting packaging solutions by Tubettificio Favia, it is possible to efficiently fight the frauds and guarantee the integrity of your brand. A shrunk sleeve in Pvc is applied on the plastic ophthalmic nozzle. This device, which tightly joints together the nozzle to the cap, only breaks the first time it is opened showing possible tampering. Its application is 100% controlled during production using automated inspection systems that guarantee its presence and efficiency. The value of anti-counterfeiting implies that this ophthalmic nozzle cannot be imited and the sleeve can be printed in different colors and customized with the customers’ logo, in order to emphasize the visual impact. The digital printing itself is not a guarantee of anti-counterfeiting, even if there are very few companies in the world that can use this technology on the aluminium tubes. But Tubettificio Favia provides its customers with a worldwide unique system of digital printing that not only covers the whole tube, but also the cap, and can be integrated with traditional offset printing. If you are interested in receiving more details on the anti-counterfeiting digital printing, write us at this address. Counterfeiting – a problem not to be undervalued.